I’ll be embarking on my 4th venture and I thought I’ve now accumulated enough bumps and bruises along to say something (potentially) useful. This is a post I wanted to write during my 2nd venture but never got around to it, so here goes. 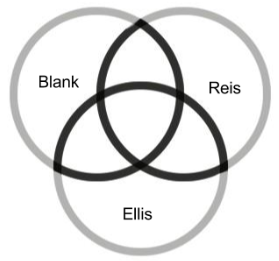 For me, the startup trinity is based on Blank-Reis-Ellis philosophy to startups. Blank, in The Four Steps to Epiphany, drives home the notion of customer development. Before a line of code is written, money raised and spent, do some customer development. In other words, go talk to potential customers and see if they share the same pain point that you envision and believe your solution solves that pain point. It’s not enough to talk to a handful of potential customers, but more like a hundred or more. Now that you’ve validated the pain point and solution, now it’s time to start writing some code. This is where you want to embrace Reis’ Lean Startup. Get the product out there, rapidly get customer feedback and continuously iterate. I want to highlight one misconception of the Lean Startup philosophy which is, rapid iteration equals buggy code. Reis repeatedly says this, but somehow it get lost in translation, which is rapid iteration does NOT equal buggy code. The team needs to write solid code, and ensure it’s not buggy, and get feedback from customers. So we now believe we built a product that solves a customer’s pain point, now when do we start charging? Ellis provides a nice framework. Keep asking potential clients using the product, how disappointed they would be if they could no longer use the product. I believe if the number is 40% then you should feel confident you’ve built something that customers would pay for. Obviously, this is idea for consumer facing startup as opposed to B2B, but I think there’s nuggets in all three approaches that can be used for B2B startups as well.